The lightweights have exchanged pleasantries for nearly a year. 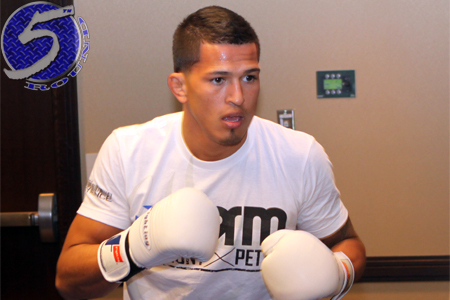 Cerrone has accused Pettis of “ducking” him, to which the former WEC champion vehemently denied. Pettis was last seen knocking out Joe Lauzon at UFC 144. Following February’s highlight-reel kick, UFC president Dana White tentatively promised Pettis first dibs at Benson Henderson’s lightweight title. When White opted to grant Frankie Edgar an immediate rematch against Bendo instead, Pettis decided to go under the knife to fix his nagging shoulder injury. The 25-year-old has been on the mend ever since. Cerrone is fresh off a vicious knockout victory over former teammate Melvin Guillard at UFC 150. The August win marked his sixth in the UFC in just a year-and-a-half’s time. His lone big league blemish came in a convincing unanimous decision defeat to Nate Diaz at UFC 141. United Center in Chicago, Illinois hosts the festivities.